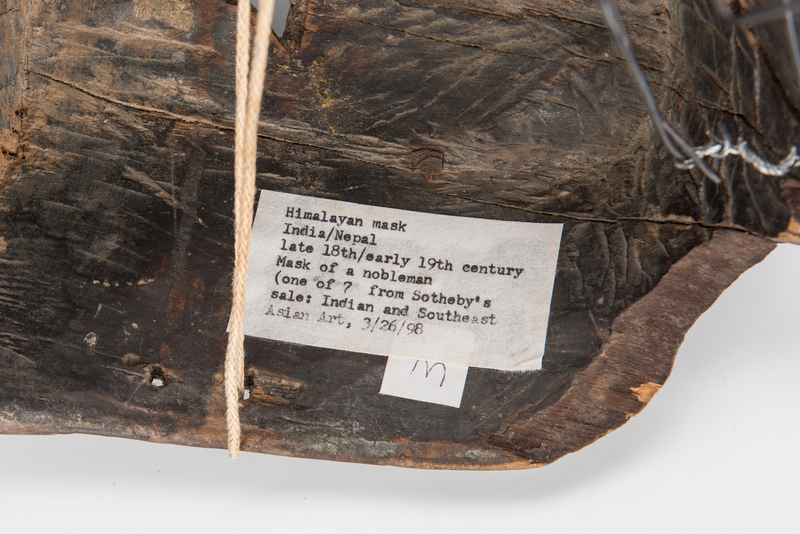 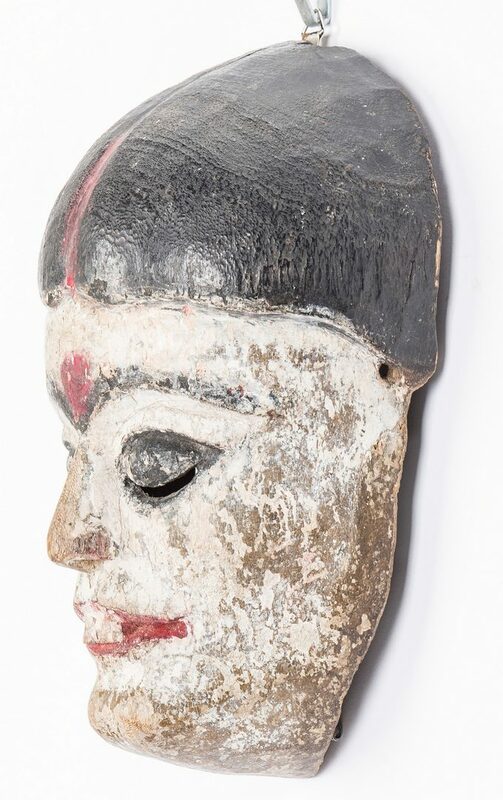 Four (4) Himalayan Masks, carved and painted wood, including nobleman, ogress, monkey, and Monpa. 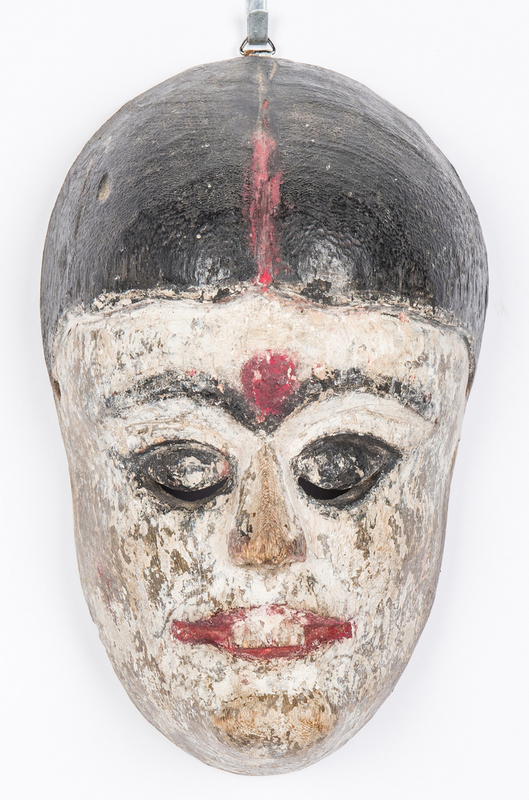 All India or Nepal, late 18th/early 19th century. 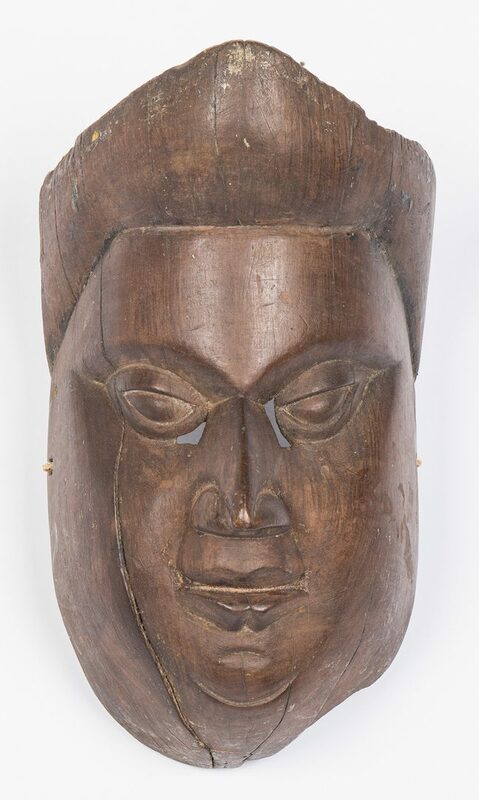 Ranging in size from 9 1/2" H x 6" W to 13" H x 9 1/2" W. Provenance: Originally purchased at Sotheby's sale of Indian and Southeast Asian Art, March 26, 1998. 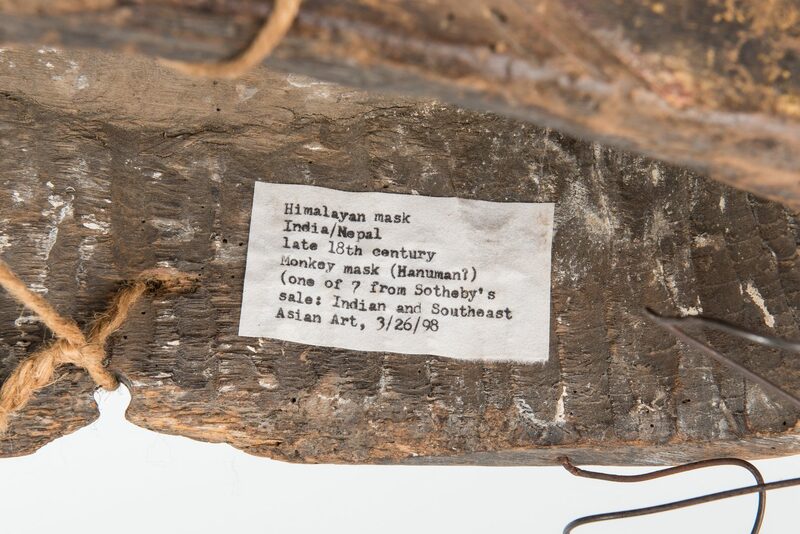 Provenance: Estates of Olen Bryant and late Vanderbilt University art professor Thomas Brumbaugh, Clarksville, Tennessee. 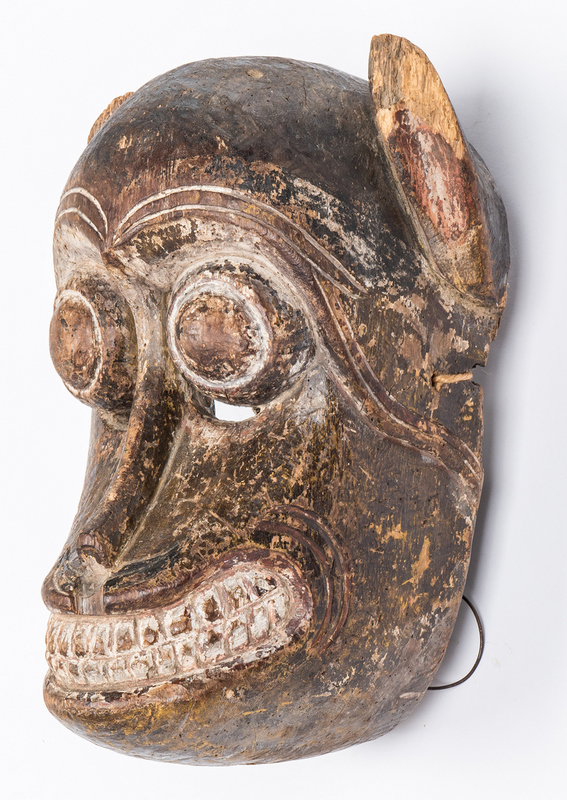 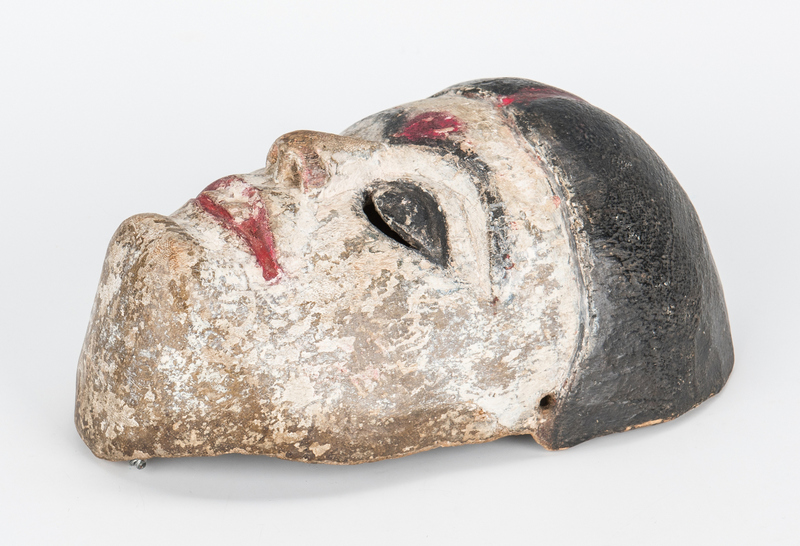 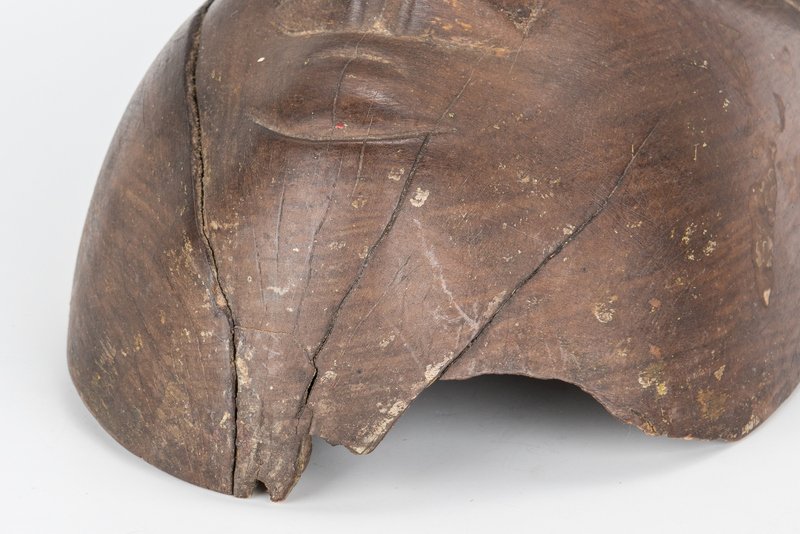 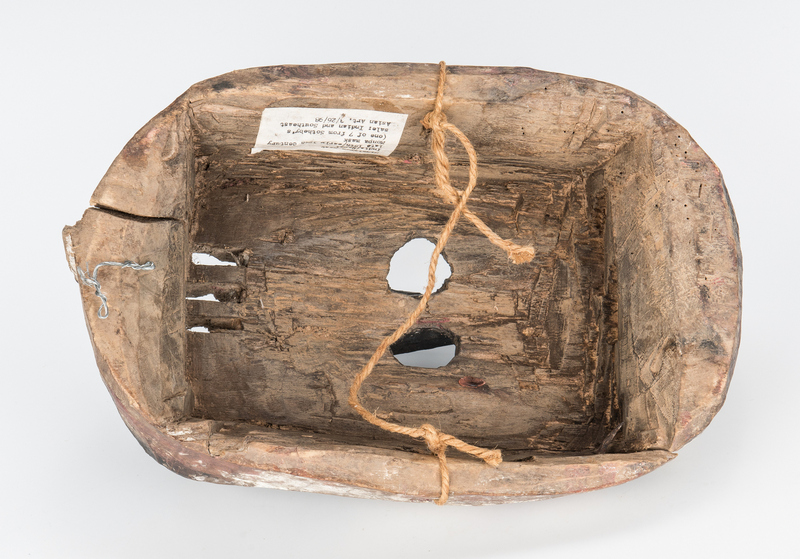 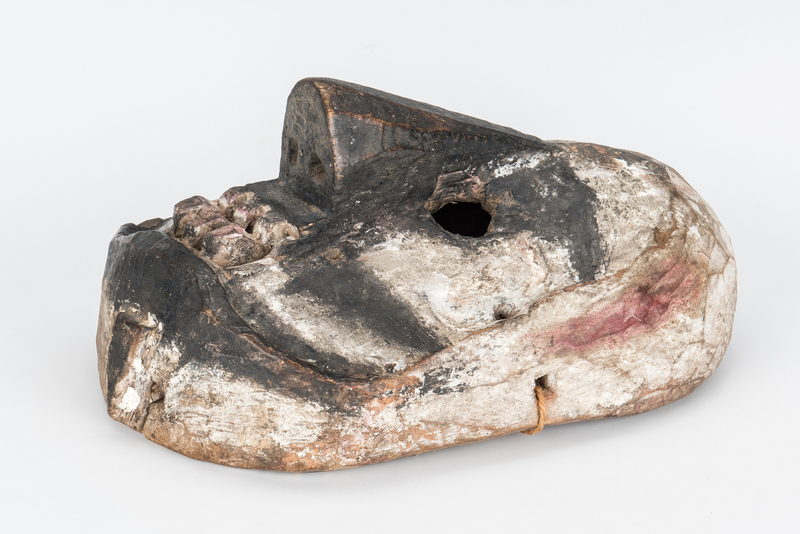 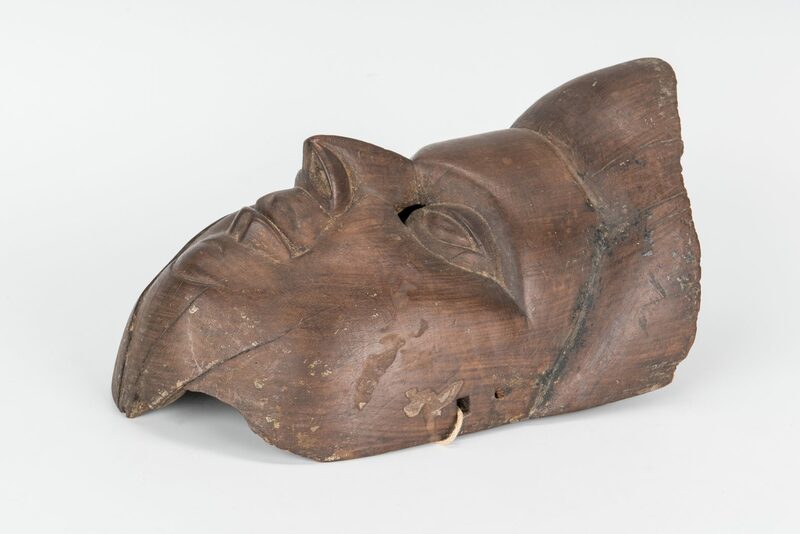 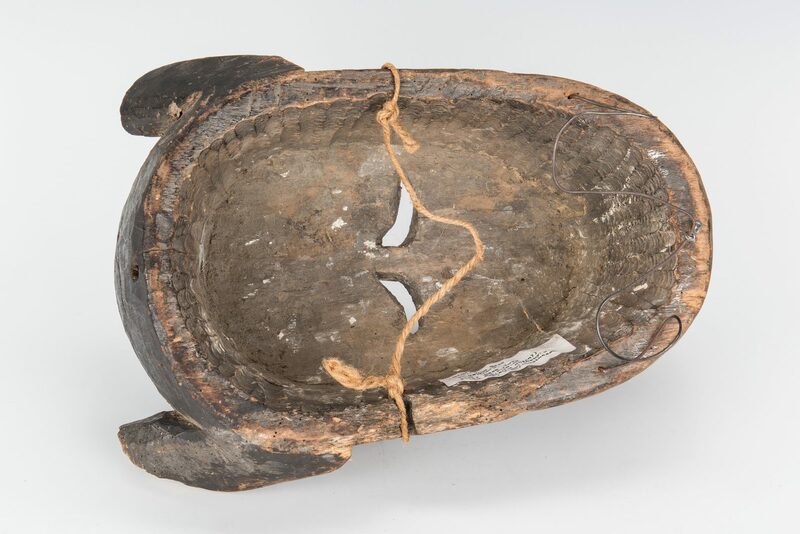 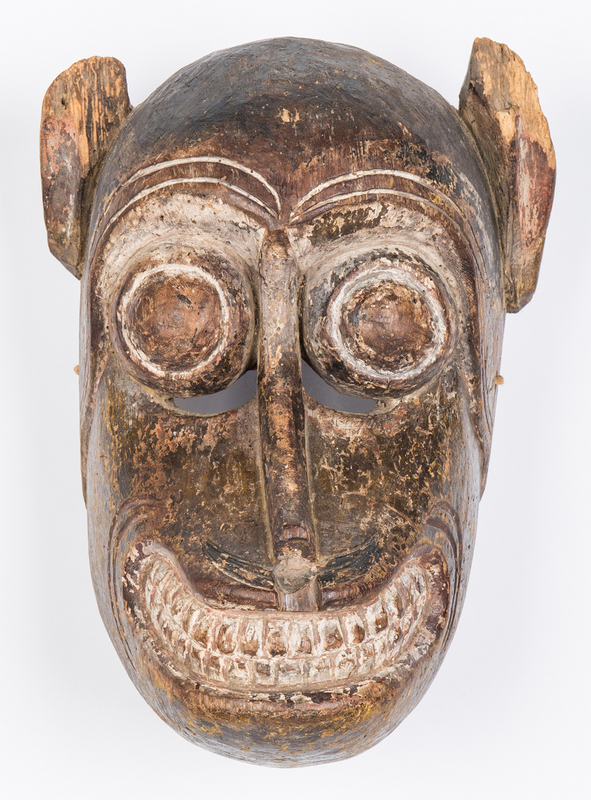 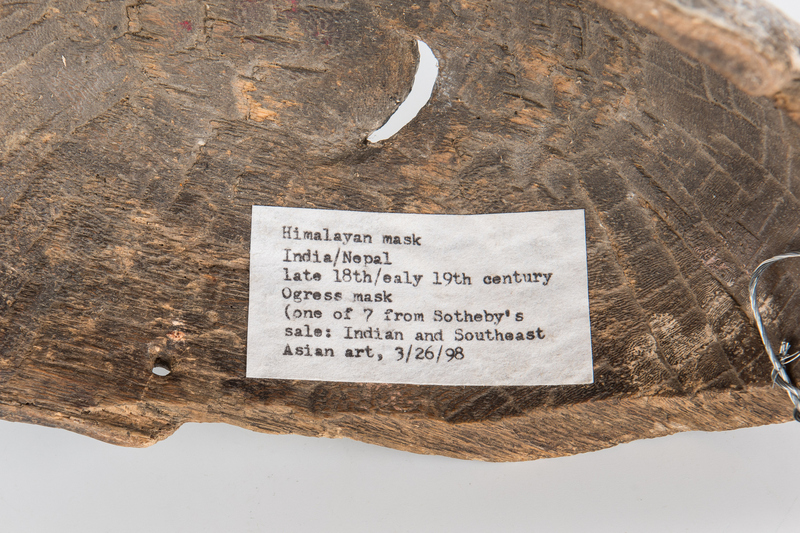 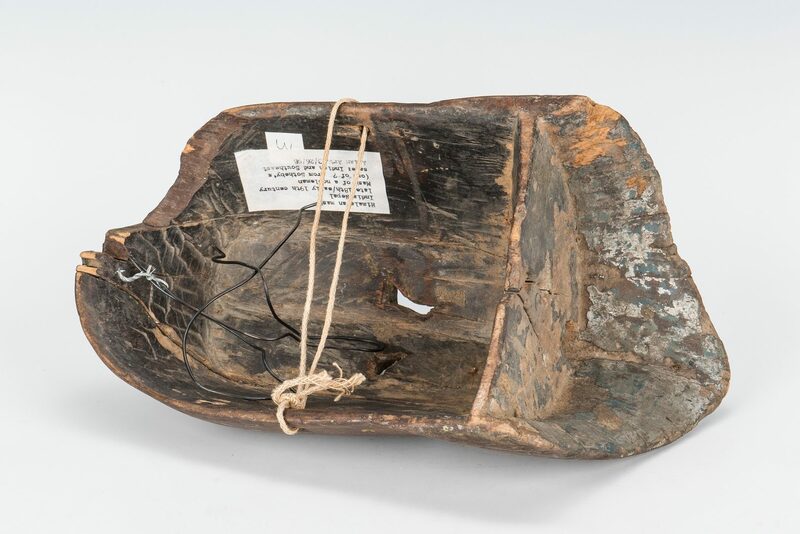 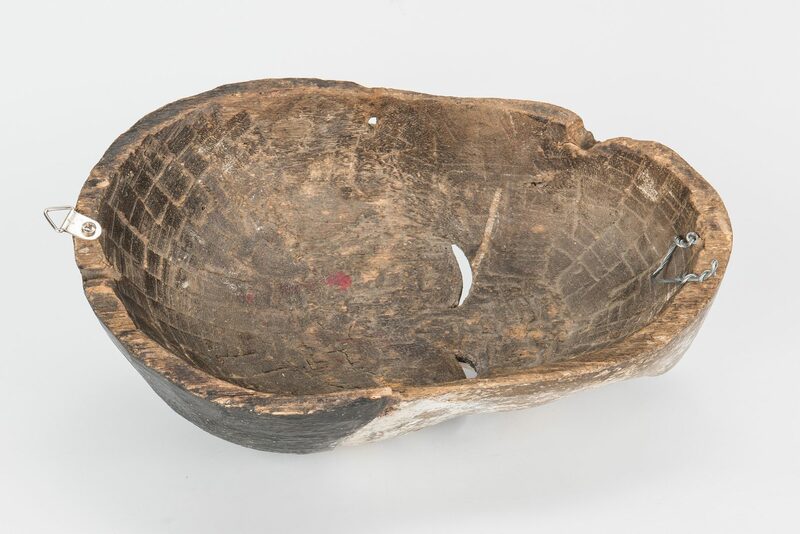 CONDITION: All masks exhibit wear, abrasions, and small losses and shrinkage splits. 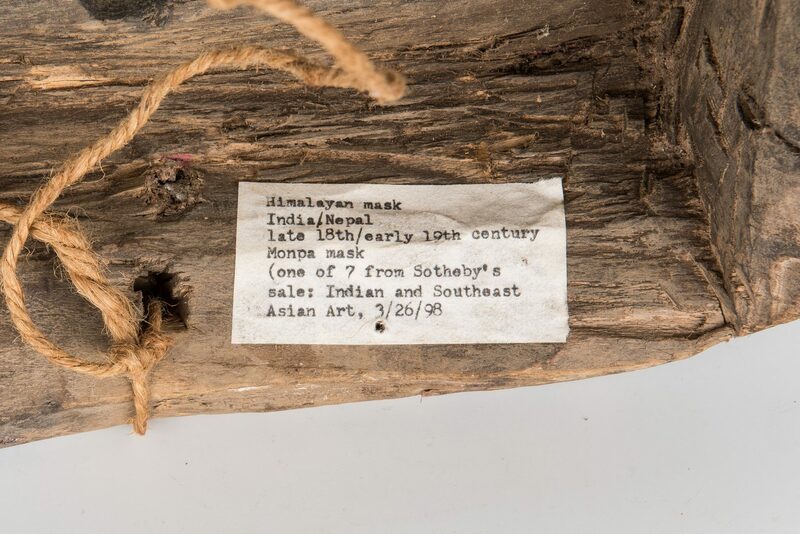 Monkey mask with losses to ear tips and insect damage. 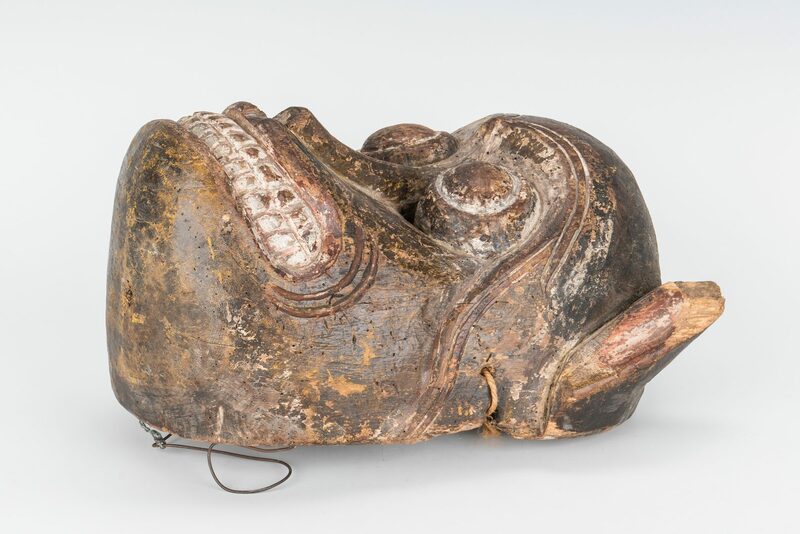 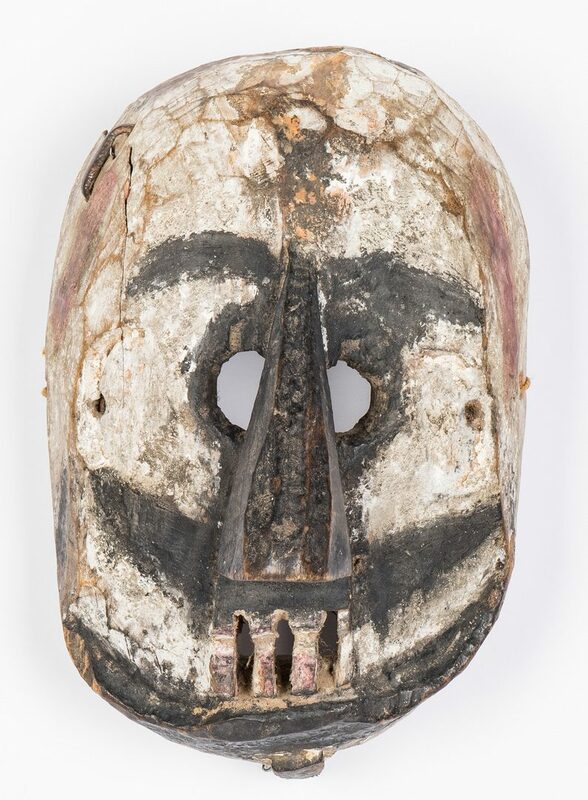 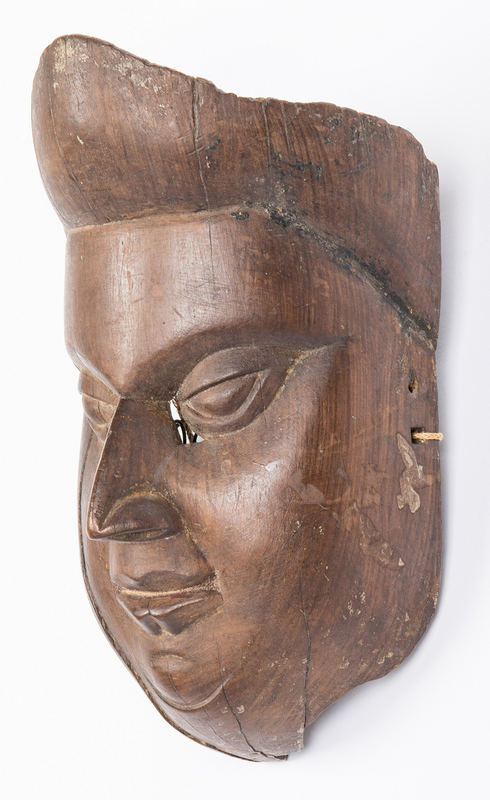 Monpa mask with metal staple repair to upper left side. 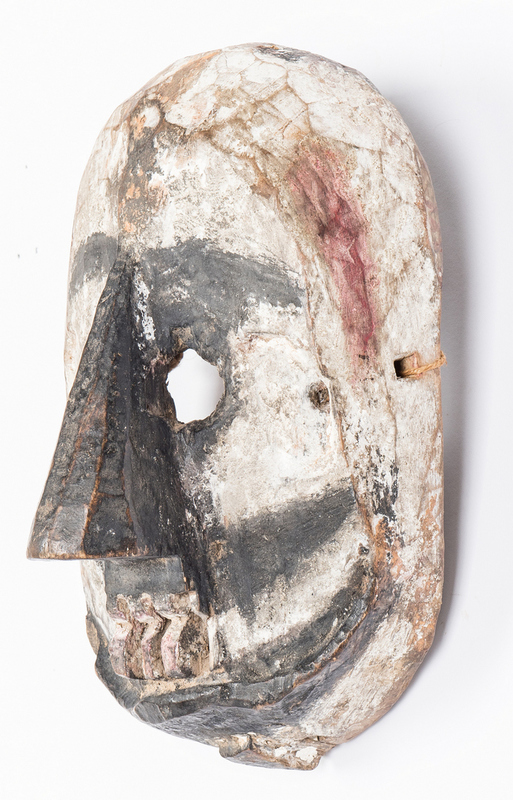 Long vertical split to Nobleman mask.